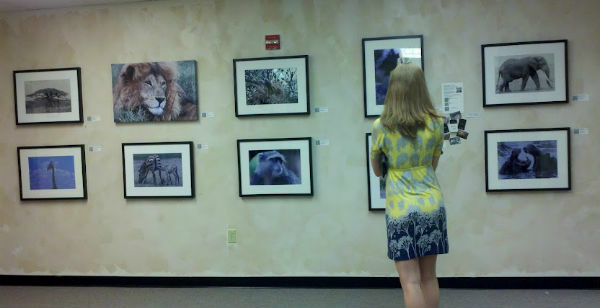 Here are a few snapshots of opening weekend of Artomatic at the Under African Skies exhibit, courtesy of Elyce Grimes who has been generously volunteering her time in the media department of the festival. Thanks, Elyce! Artomatic, D.C.'s biggest arts festival, is in full swing! I've joined more than 1,000 other artists in presenting work this year from now until June 23rd. 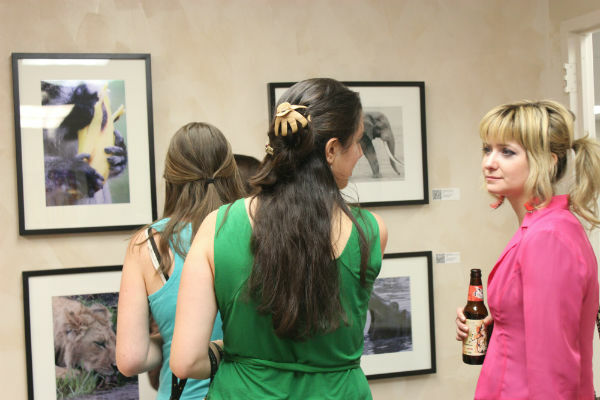 Come by to see selections from my safari gallery Under African Skies up close and in person. I'm on the 9th floor, 09-245, just around the corner from the peeps! There is always something going on at Artomatic. Check out the full schedule of events here. In honor of Artomatic, I'm giving prizes to a random person for every 100th Twitter follower and 100th Facebook Fan of Timothy Forbes Photography. Follow, like and spread the word! Before beginning safari, I had to choose a safari company. And it felt all wrong from the moment he approached me, the young guy in the yellow shirt. I had just come out of the gate of Roy's Safaris, a company highly recommended by the Lonely Planet, albeit in the latest edition which was now more than three years old. I had been happy to find that Roy's was just a short walk from Le Jacaranda Hotel where I had checked in for the night. I had flown in from Dar that morning and the afternoon was quickly disappearing. My hope to start a five day safari through Ngorongoro Crater and the Serengeti the following day required efficiency and a little luck, especially since I was looking for a reasonably-sized group safari so I wouldn't pay full freight for a solo one. In addition to the price difference, the thought of being individually catered to by a guide and cook for several days straight seemed a bit unsettling. So I was rather disappointed when the possibility of Roy's proximity translating into an efficient booking dimmed within a few short moments. The very professional woman behind the very professional desk in the very professional office inside the very professional gated compound told me they no longer did group tours. In fact, she said, very few companies do them any more. She would, however, be happy to discuss a four day safari through Ngorongoro and the Serengeti for approximately $1,800. It is hard to say what I imagined as we drove past the gate of Tarangire National Park and rounded the first corner of the first park of my first safari. I suppose I anticipated spotting wildlife would be something akin to a Where's Waldo book. There would be trees. There would be grass. There would be wide open spaces. Binoculars would be required. A keen-eyed guide would be necessary. And a little luck would be needed to see the animals. This was the wild, after all, not the National Zoo. And even in a zoo, a cage or fenced in area of any size can offer enough room and enough cover in which even a larger animal can be concealed. And while binoculars and a keen-eyed guide and luck are required in certain cases and especially with certain animals, Waldo was everywhere from the moment we rounded the corner. Within moments, vervet monkeys were seen dashing about. Elephants lumbered across the scene as, if on cue. Giraffes snacked on the acacia trees in full view for even a dull-eyed safari adventurer like myself.